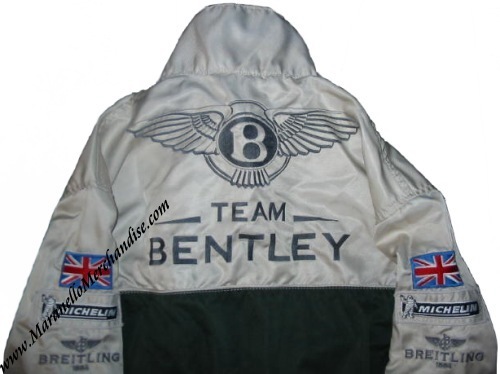 Original 2003 Team Bentley Mechanic's Overall. A truly GREAT item from Bentley's return to Le Mans! 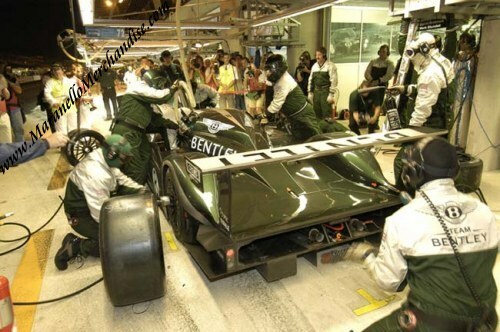 This is an original overall issued to a pit crew member of Team Bentley for the 2003 running of the Le Mans 24 Hours. Please note that this is a team issue ONLY and that these overalls were NEVER available to the general public! Also please note that these overalls are not fireproof. The overalls carry all the appropriate markings such as LARGE Team Bentley embroidery, Michelin patches and Breitling embroidery. 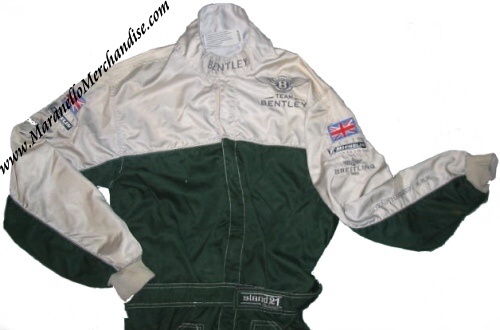 These overalls were made by Stand 21 and are size 3 which is approximately a European size M.
Team Bentley clean-swept the 2003 edition with the # 7 Bentley EXP Speed 8 of Rinaldo Capelli, Tom Kristensen & Guy Smith winning the event and the # 8 EXP Speed 8 of Mark Blundell, David Brabham and Johnny Herbert coming in second place. A rare opportunity to acquire such a special Bentley Le Mans item.